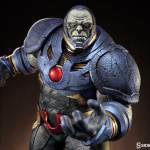 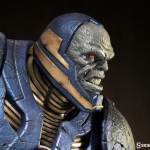 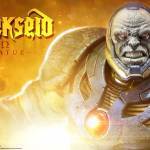 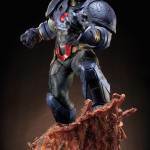 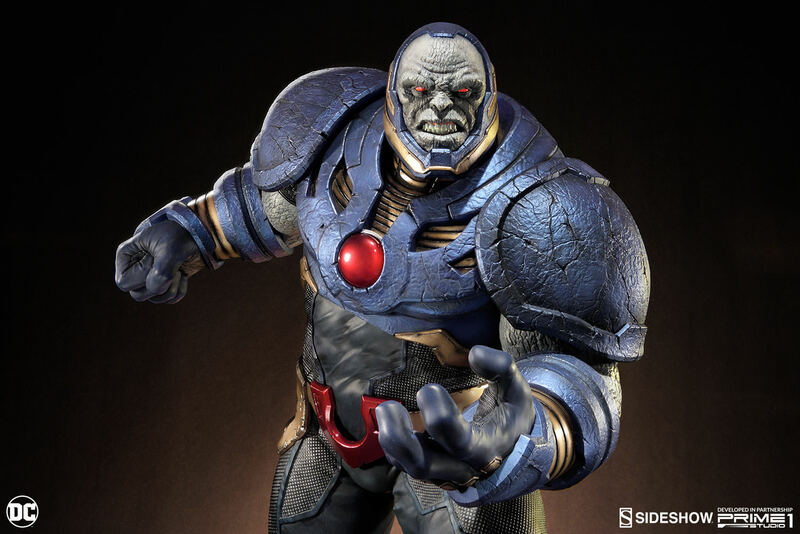 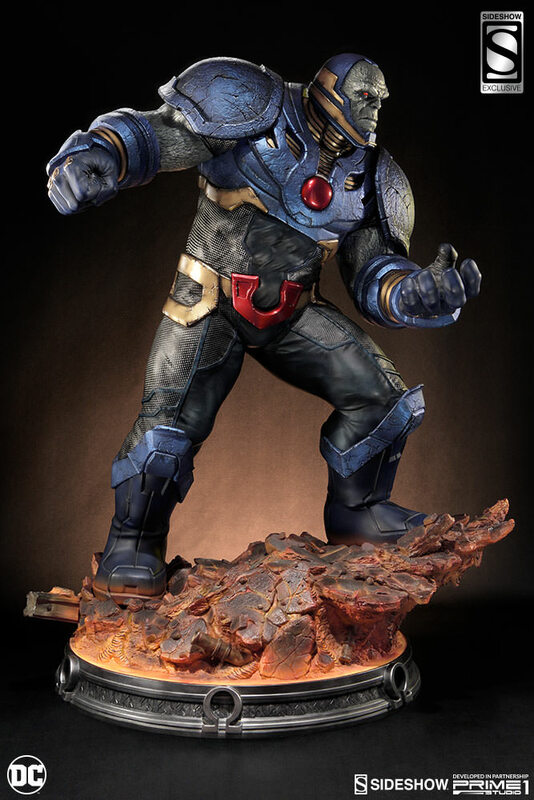 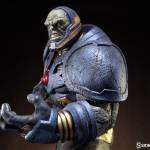 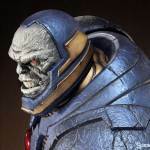 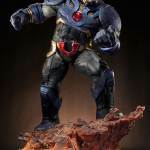 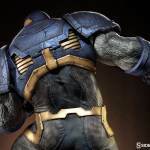 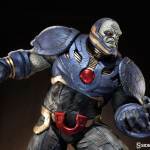 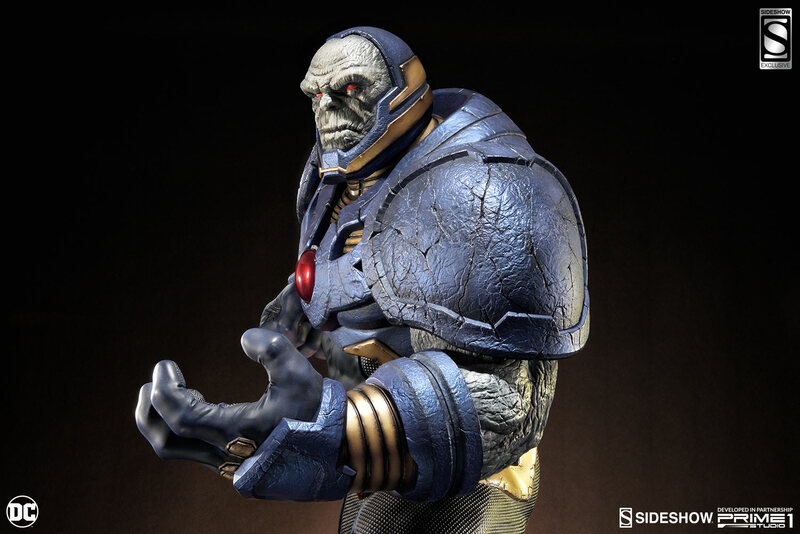 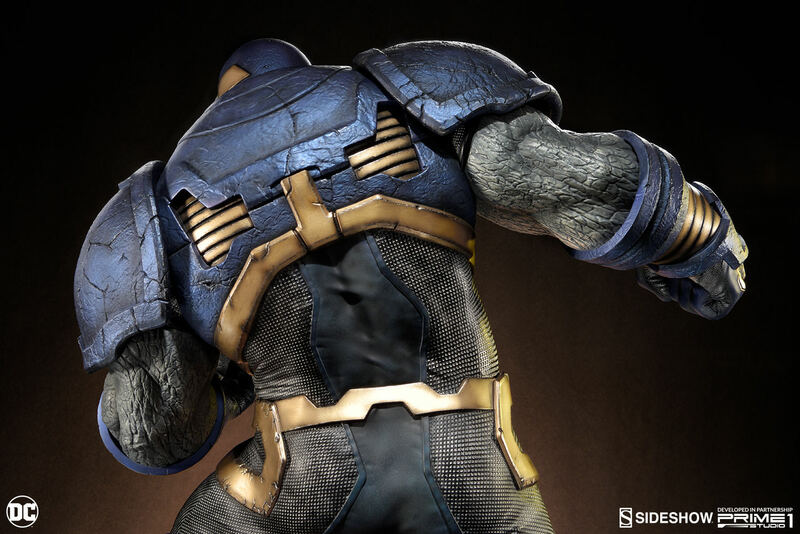 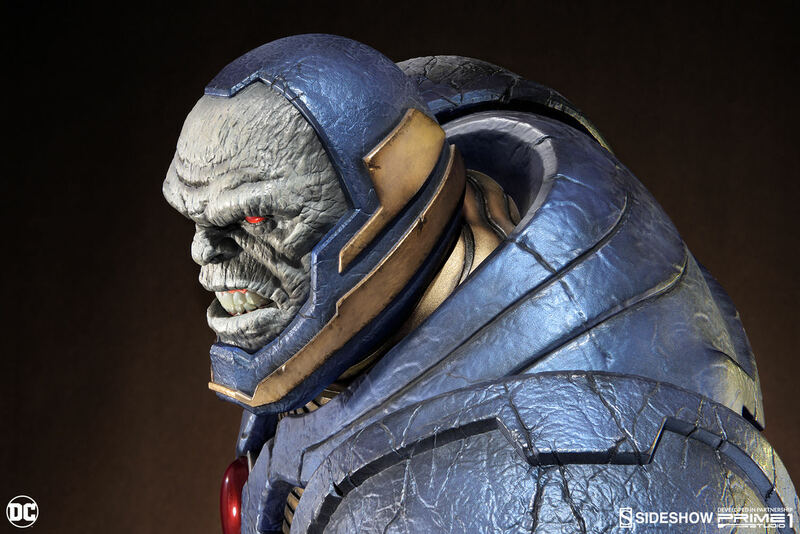 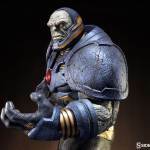 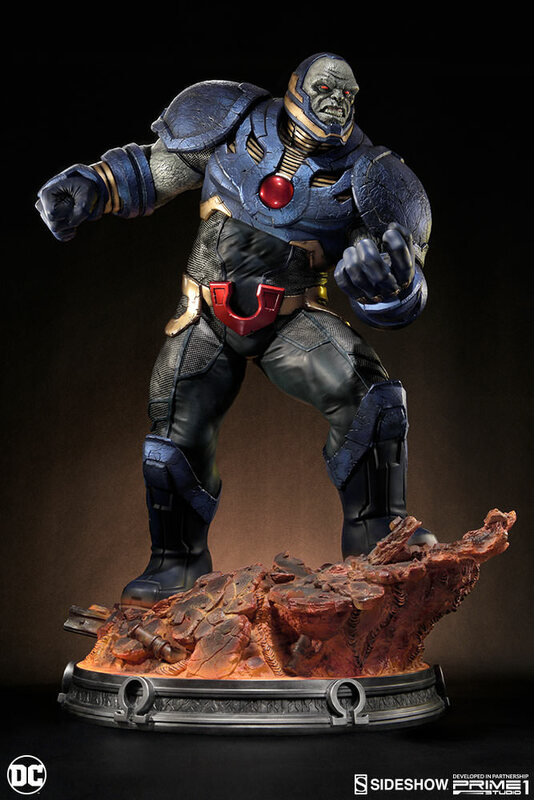 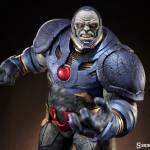 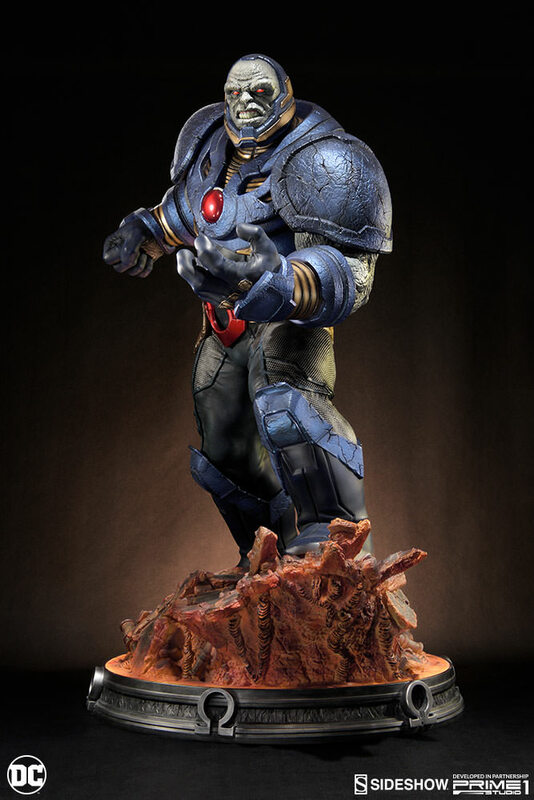 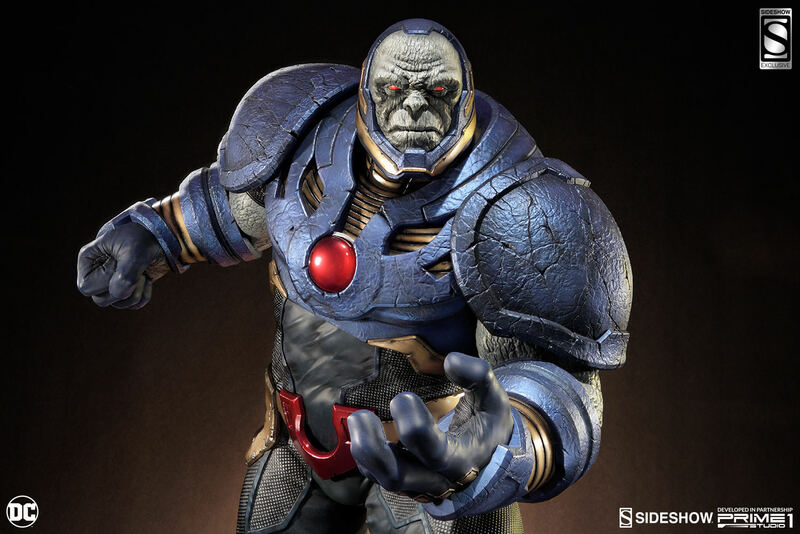 Developed and manufactured in partnership with Prime 1 Studio, we are proud to present Darkseid from Justice League New 52. 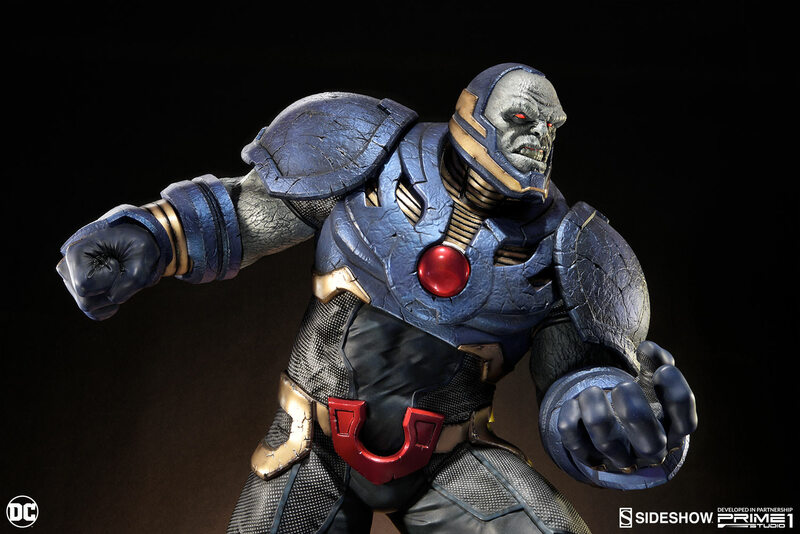 Darkseid is the ruler of Apokolips and Darkseid’s Elite and was a major player in the cosmic war that was the Final Crisis. 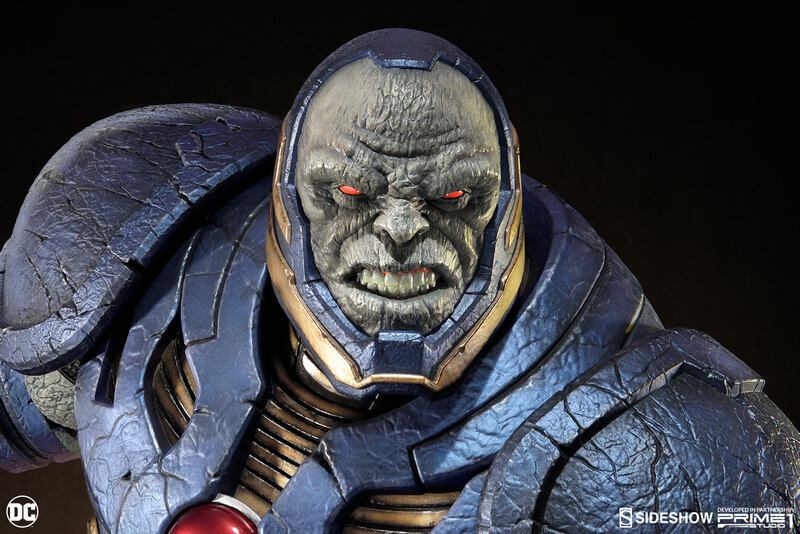 Unto the hell that is Apokolips came Darkseid, pure hatred personified, a merciless tyrant who demanded unwavering devotion and abject fear from all his subjects. 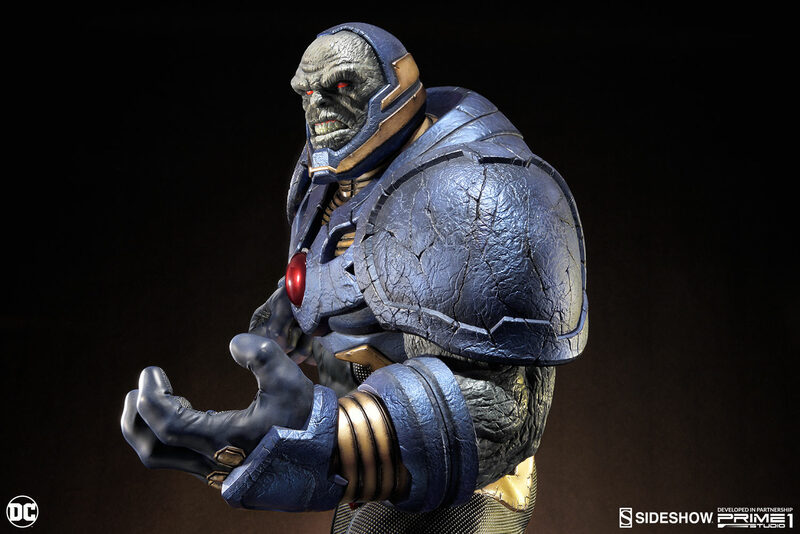 A being of unparalleled strength, Darkseid nevertheless preferred not to sully his gloves with combat unless provoked to action. 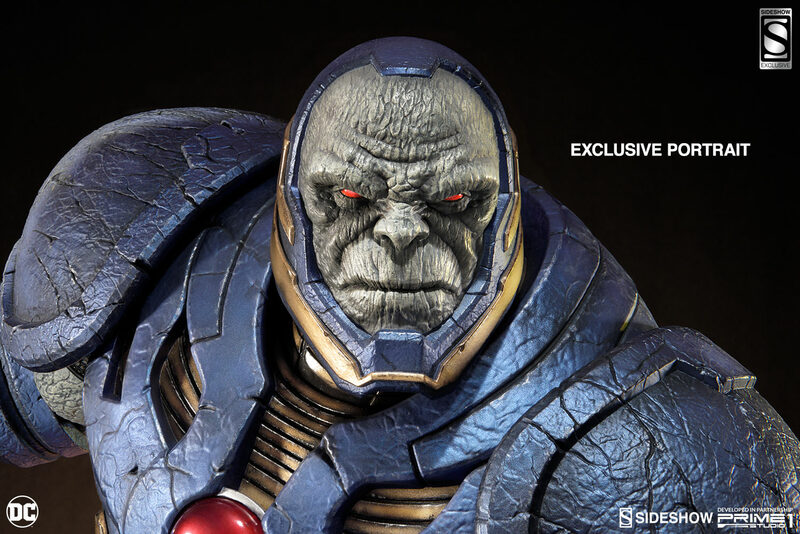 His eyes emitted the formidable Omega Sanction, ray beams that could disintegrate, teleport, or resurrect depending on the dread lord’s wishes. 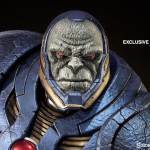 His sole mission in life was to find and gain control over the Anti-Life Equation which would give him the means to usurp all free will in the sentient universe. 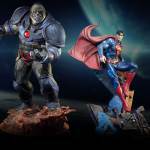 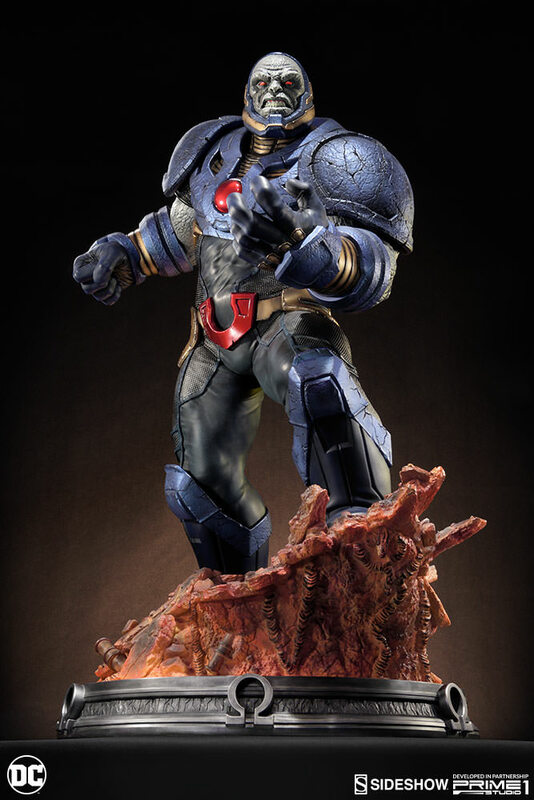 DC Comics fans, don’t miss your chance to add Darkseid to your Justice League New 52 collection! 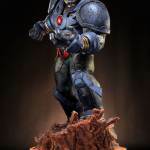 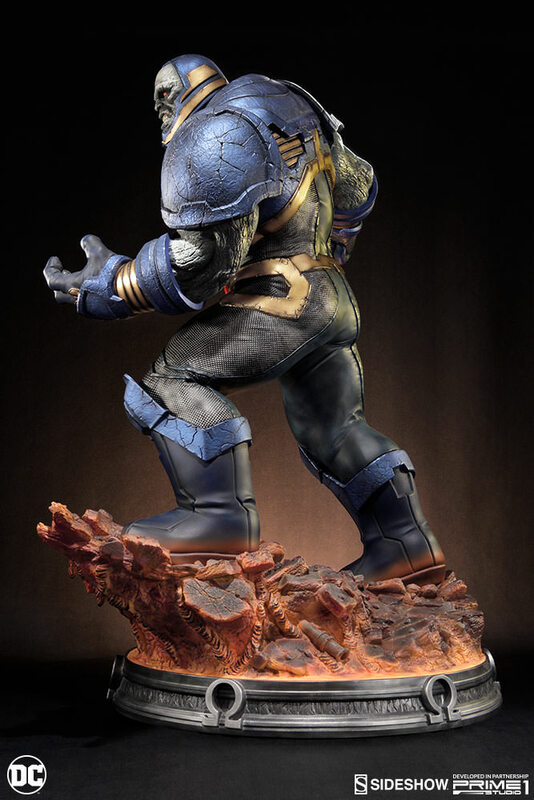 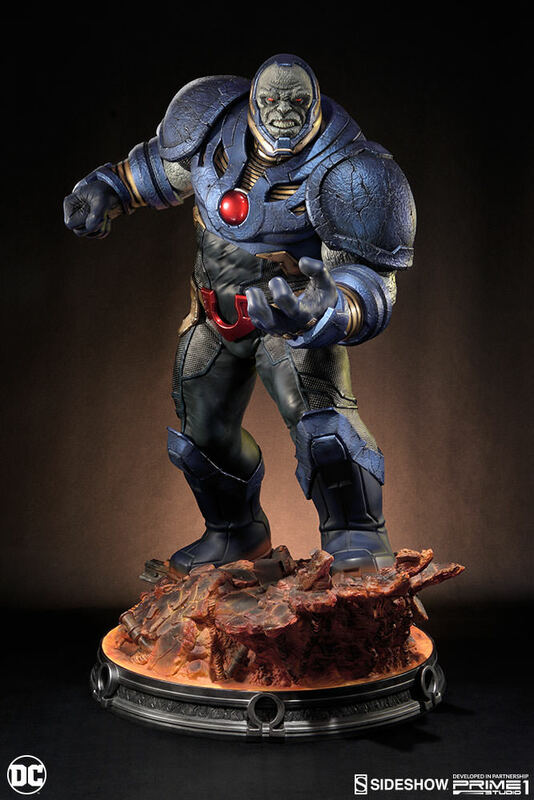 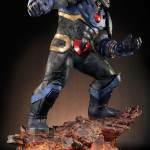 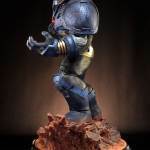 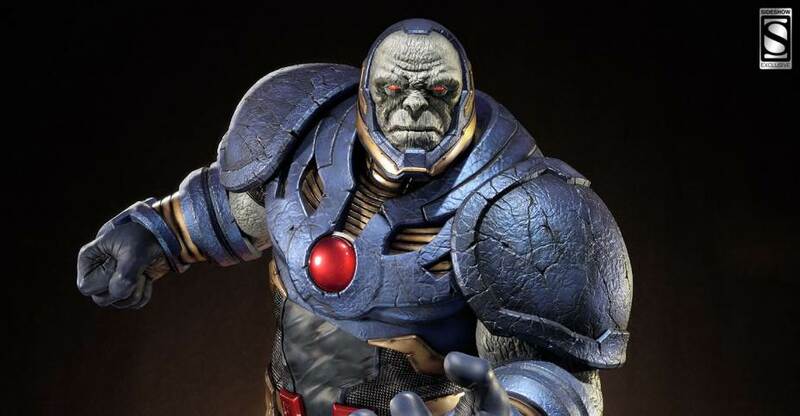 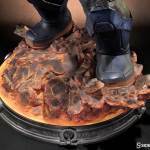 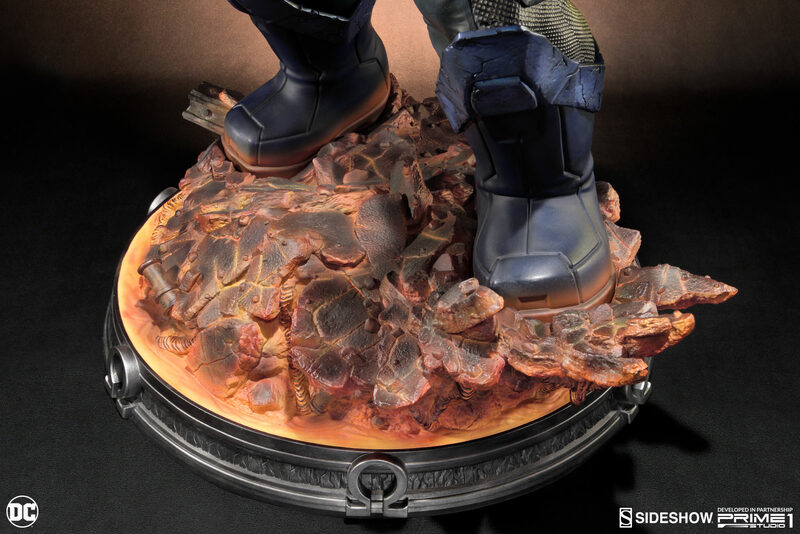 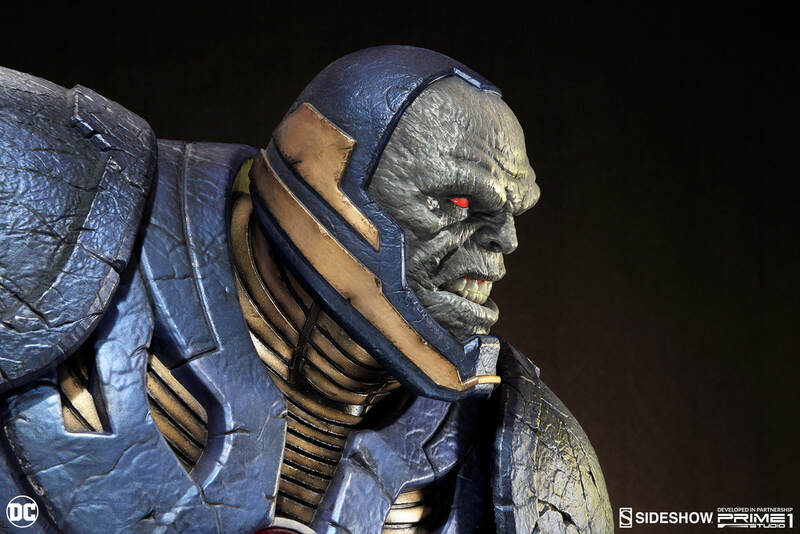 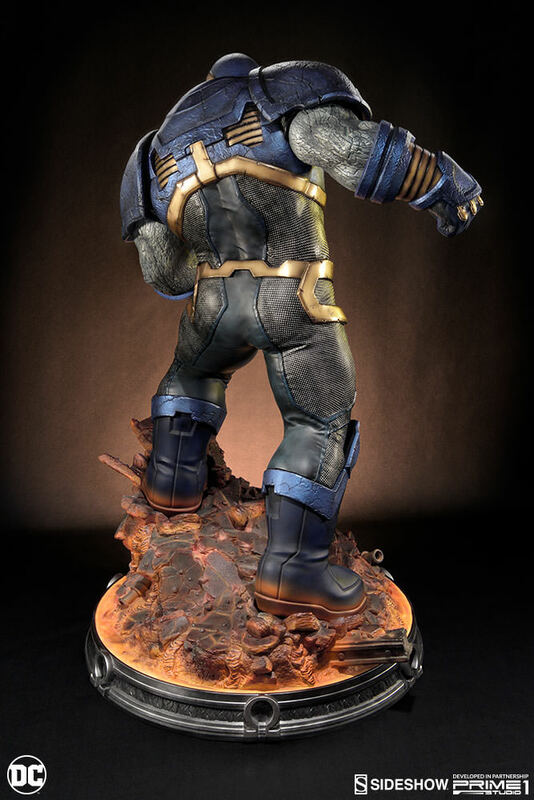 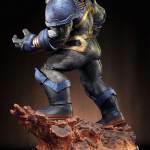 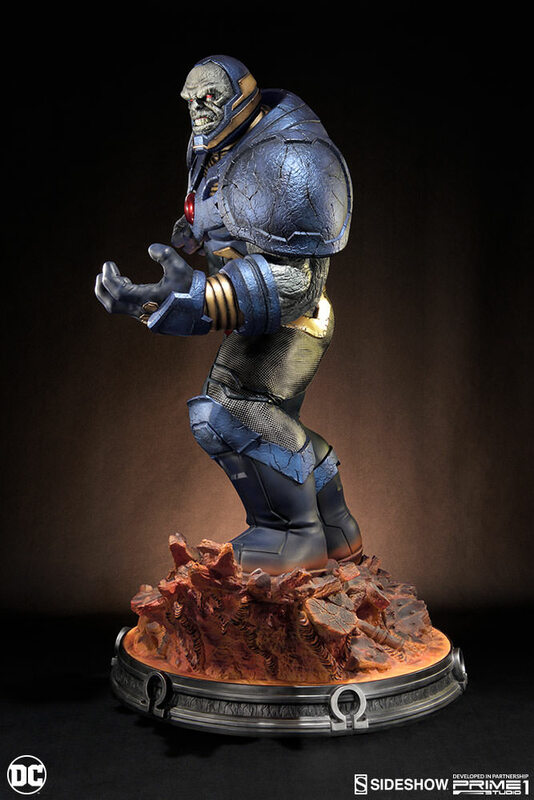 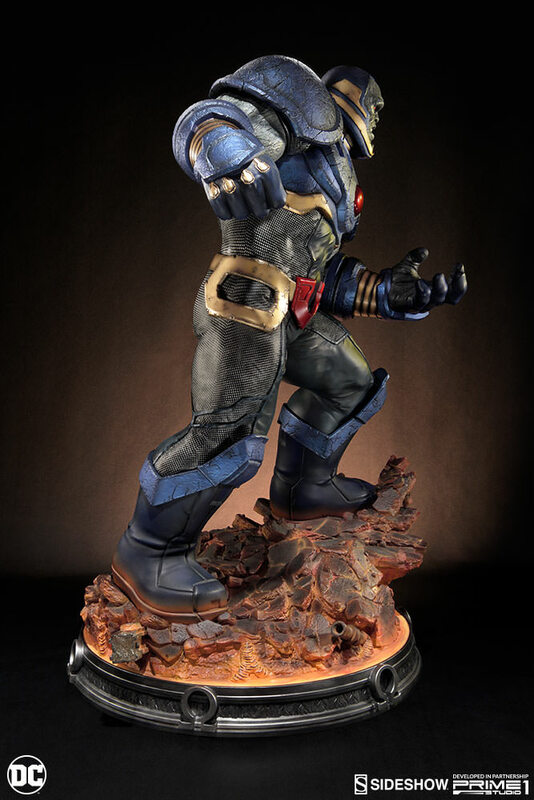 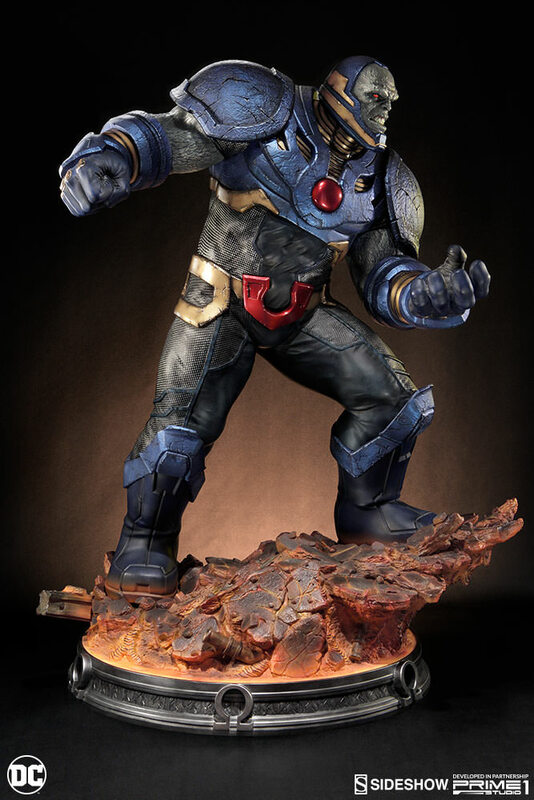 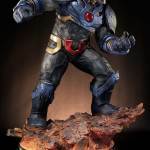 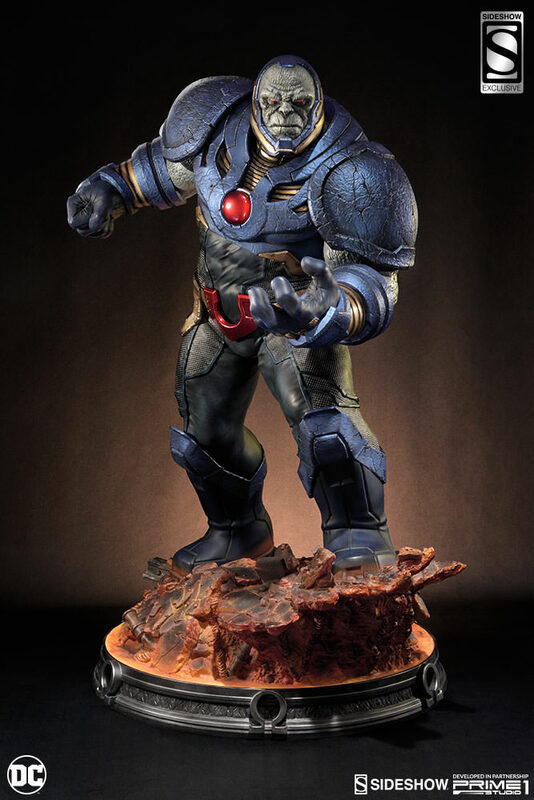 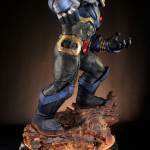 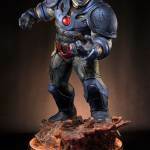 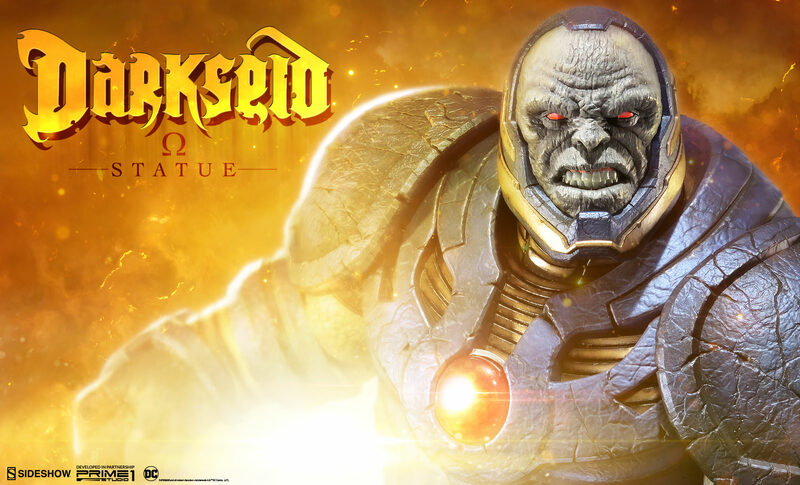 The Darkseid Statue is priced at $1,250. 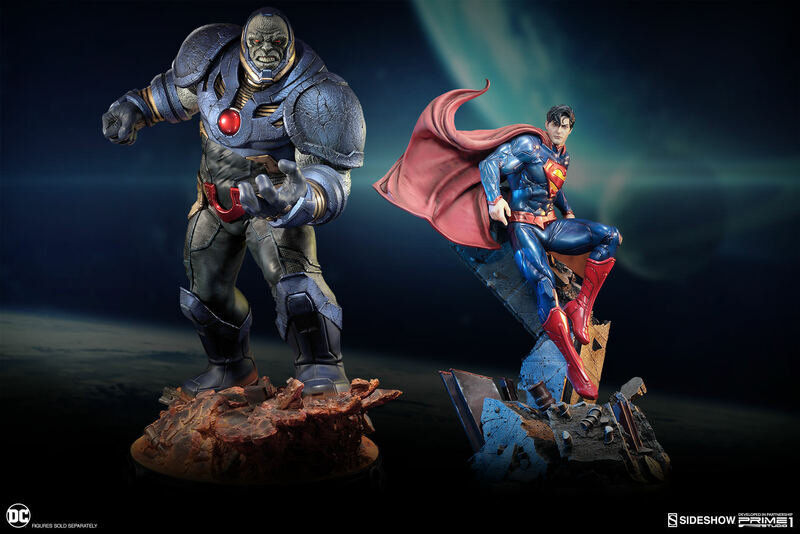 Payment plans are available from Sideshow. 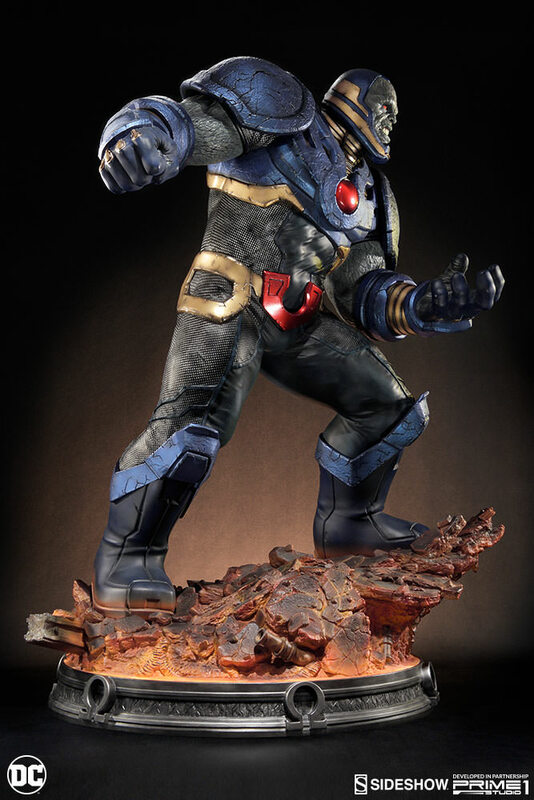 It is scheduled for release some time between July 2018 and September 2018. 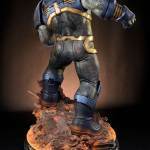 Read on to see the photos.